Santorini Photographer Prices for photography tour on the best Santorini spots. 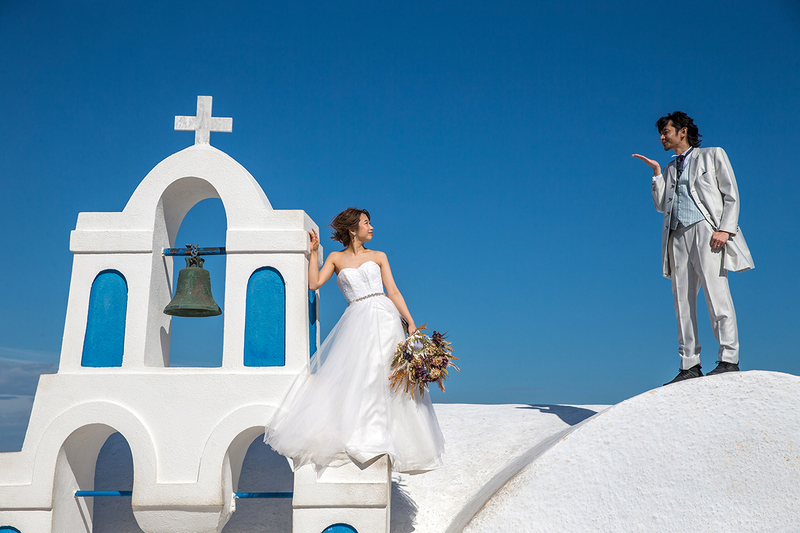 Santorini photo tours and maternity photographer prices. 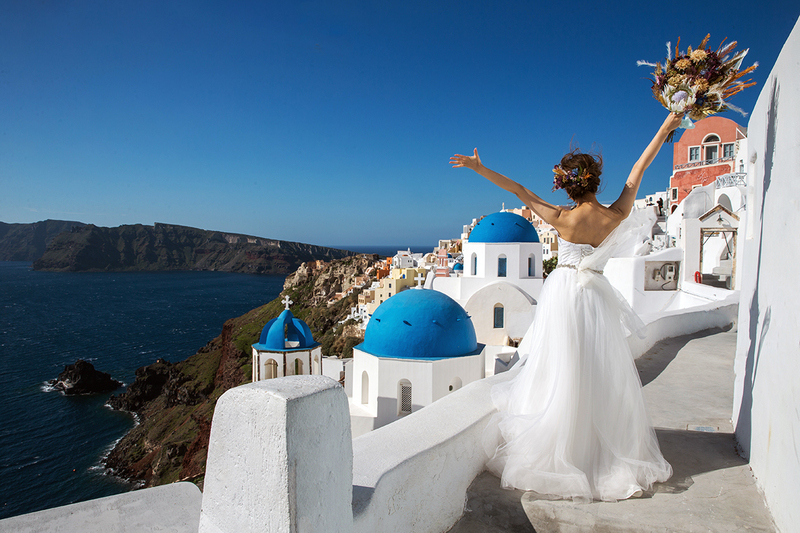 Santorini Photography tours by Professional wedding photographer, We specialized in photography tour and wedding photography on the most beautiful location in Santorini island and international destinations. We can satisfy every need which concerns photography in Santorini. From wedding ceremony photography or a photo tour for up to 4 hours with the cost of 500 euros including the car and the driver! The best time to start for a private photo tour in Santorini is at 10:00AM. We will come to meet you at your hotel, or any where in Santorini and start the photo session from there. The cost for up to 4 hours photo tour on the best locations of Santorini is only 500 euros. We will visit Oia village which is the best place for pictures, Imerovigli, Fira, Firostefany and one of the black sandy beach of the island if we have time. We will take about 350 photos, we will give you all of your photos on a DVD. You will received 50 edit photos and all the rest it will be unlock so you can print then if you like after you go back home. We will drive you to the most extraordinary Locations of Sntorini to take your pictures. 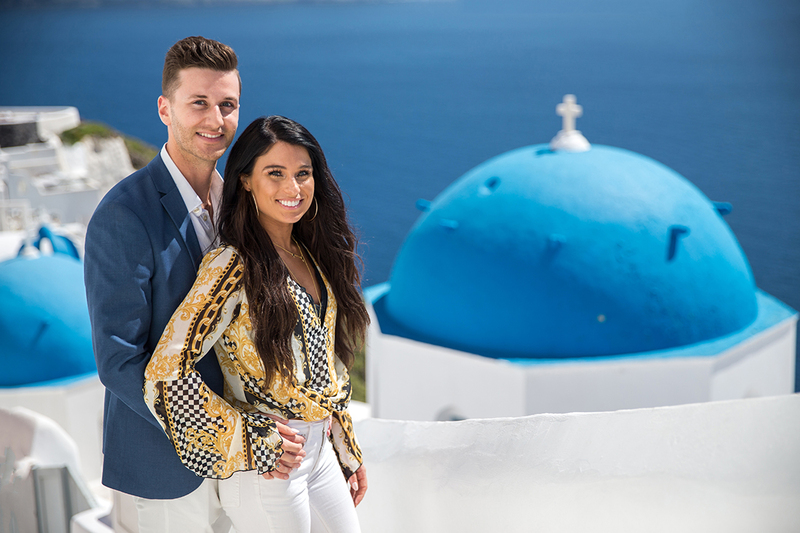 You can wear your wedding dress or your casual clothes and have fantastic result of Santorini contrast between the blue and white colors of the Island! 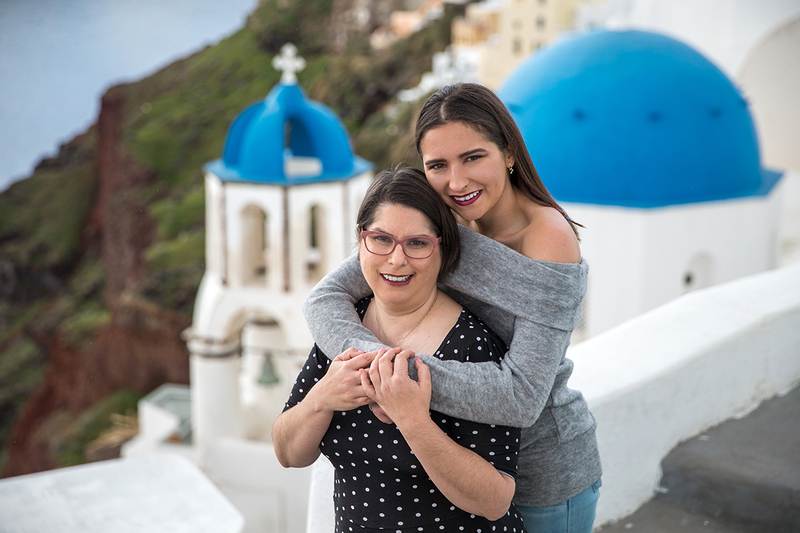 Thank you for your interest in a photo session with Santorini Photography tour we offer one of a kind, custom portrait experience from start to finish. 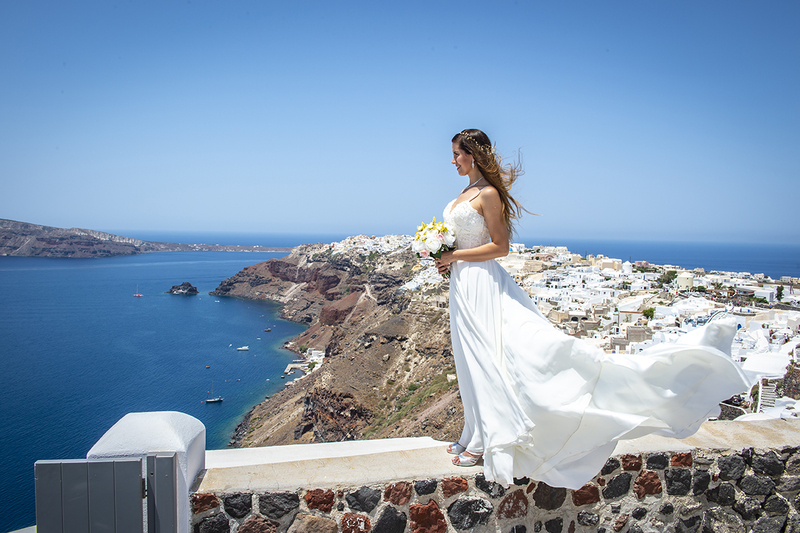 She will help you plan the perfect session to capture your Santorini wedding photography, family’s precious memories and save these memories as heirloom quality products to be enjoyed for generations. No detail is missed from choosing the perfect location to selecting wardrobe items to complement you and your family. Jessica always has an assistant on hand at your session to ensure everything is in place and kids are smiling and happy!